If you are planning to apply for some courses with the Manipal University, you will have to take up the MET or MAHE OET (formerly MU OET). The test is expanded as Manipal University Online Entrance Test or Manipal Entrance Test. The test is conducted in different patterns and the pattern will vary based on the course for which you apply. Of course, there are courses offered by this university without any entrance test at all, while for medical courses, NEET score is considered by the university. The former name of this institution is Manipal University and she is presently called as Manipal Academy of Higher Education. The university holds the pride of being one among the BRICS universities with the 97th Rank. Right from the year 2009, the university has filed 35 plus patents and the university gives 100% scholarships for top students. The university holds the pride of holding the first position among the private Indian universities in the research arena. The Manipal Academy of Higher Education is known for the excellence in higher education. The university has her campus in the Udupi District of the state of Karnataka. The MAHE has professional institutions in humanities, communication, management, engineering, and health sciences to offer education in these areas. What To Know About MU OET 2019? Admissions to the Manipal Academy of Higher Education are done through the online entrance test. This test is conducted by the academy in centers across the country. Applicants can easily take up this test and it needs just a basic working knowledge of computers with a fundamental ease of use keyboard and mouse. Manipal University conducts this test in English and each computer at the test center is connected to a central server. This server will deliver the test to the computer in real-time. The test will have MCQ questions and for each given question, the test takers will have to choose the closest or the correct answer from the given choices. M. Sc Medical (All branches) The applicants must have completed their B. Sc with a minimum of one subject from Biological Sciences, B. Pharm, BPT, BHMS, MBBS or BAMS or other professional degree from a recognized university. B. Sc with chemistry and physics optional. BASLP/B. Sc (Speech and hearing), BSLH from any university recognized by the Rehabilitation Council of India with at least 55% of marks. Not applicable Applicants should not be older than 30 years on the 1st July 2019. In the same way, applicants can check the eligibility requirement for each course from the official website of the university. The application form for Manipal University is available only online. So, applicants will have to apply for any course only through the website of the university. A candidate applying for any course with Manipal University will have to apply online. They will have to go to the online application page. Then, they should submit their personal details like Email ID, mobile number, DOB, name and other basic details. Also, they should upload the softcopy of their passport size photograph along with signature. A DD draft drawn in favour of the Manipal Academy of Higher Education, payable at Manipal or Udupi. If they choose to pay through DD, the candidates will have to fill up the details of DD like the number, date and issuing bank details in the online application form. Also, they should send the DD along with the copy of the online application form to the following address. Manipal – 576 104, Karnataka State. The pattern of the Online Entrance Test conducted by the Manipal University varies based on the course for which an applicant applies. Candidates can check out the official website of the university to know the test pattern for the course to which they plan to apply. 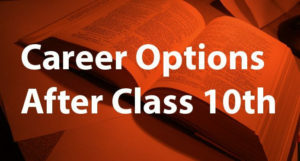 Candidates can get to know the syllabus from the same page: Click Here to check. e-admit card is a necessary document to attend the entrance examination, e-hall ticket of MET 2019 contains your e hall ticket number, exam centre, its address, course applied for, date and time of exam. 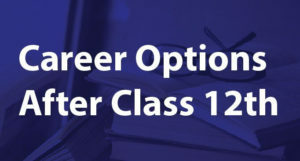 To get e-hall ticket, a candidate has to book exam slot by logging in onto www.manipalobts.com before the close of slot booking of the course you have applied for. 24 hrs after successful slot booking, a candidate can download e-hall ticket from the same portal. University will also send e-hall ticket on to the candidate’s mail Id provided at the time of filling application. Identity card – EC Voter ID card/ Passport/Driving License/IT PAN card or School/College photo-bearing ID card. 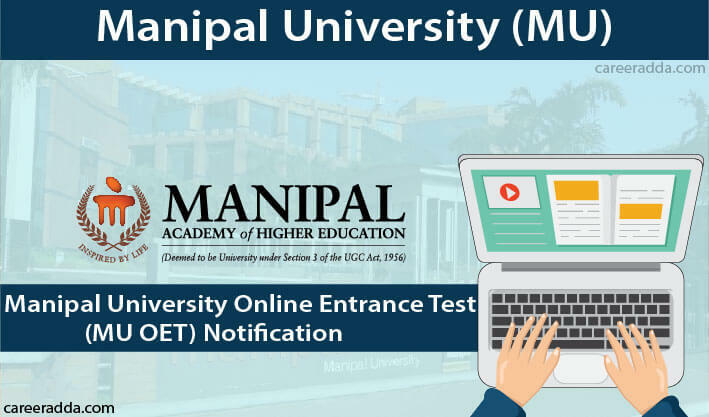 Candidates can check results of entrance test on manipal.edu after few weeks from the examination. All the candidates should meet the cutoff set by the university authorities and the cutoff is different for different courses. Cutoff will be released by university after seat allotment.